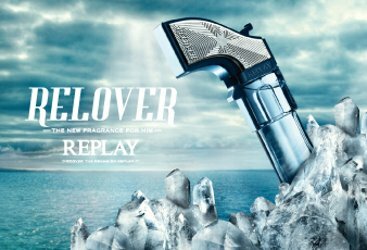 The ad for Replay's new Relover fragrance. The [water] guns were tied by the dozens to park fences and hung from trees. They could even be found tied to the brakes of bicycles. Each gun had attached to it a short note to which had been applied a sample of the perfume. The perfume, of course, had dried, but the card claimed the perfume could be revived simply by sprinkling a drop of water where the fragrance had been applied. 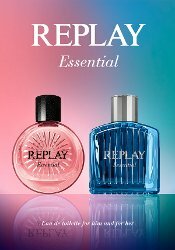 — An Israeli ad agency used water guns to promote the Replay fragrance. Read more at Squirt and sniff: One way to sell a perfume at Media Life.